Following Wargaming's recent changes to the way sound mods work, I've taken the opportunity to not only update my previous Sendai mod, but also to add both Nachi and Nagato to the fleet -- projects which I had begun some time ago, but simply left unfinished. My goal with these mods was to add some female anime voiceovers that sound a little more serious and mature compared to the various "schoolgirl" voices, thus expanding the variety of available voice packs. Nachi, the soldier: Speaking in a bold and masculine manner, Nachi may be the ideal choice if you're looking for a female captain who sounds like a professional military officer, at least as far as movies and videogames are concerned. She is a serious but gregarious fighter who embodies the samurai warrior archetype, up to inviting you to a drink after a successful battle. Recommended for: Cruisers and Battleships. Nagato, the amazon: Serious and somewhat intimidating, Nagato nonetheless still has a soft side to her voice and keeps calm even under pressure. Compared to Nachi the fighter, Nagato is a commander who is used to plan and lead major maritime operations, befitting her original role as flagship of the IJN's Combined Fleet. Recommended for: Battleships and Carriers. Sendai, the daredevil: Bridging the gap between the aforementioned "schoolgirl" voices and the maturity of Nachi or Nagato, Sendai falls somewhere in-between. Youthful and energetic, she's a confident swashbuckler who enjoys living on the edge and boasting of her exploits. Recommended for: Destroyers and Cruisers. After a few weeks of being busy with other things, I've finally managed to cater to a few requests that had piled up. With exception of Isokaze (aka "Saberkaze", given her voice actress' role in the popular Fate franchise), these mods are probably on the less serious side. As I had already accomplished with series 1 what I initially set out to do, I figured there'd be no harm in adding a couple voices that are even more on the "fun" side of things. I particularly like how Zui turned out, as she's quite the chatterbox, which gave me lots of material to crop and rearrange. 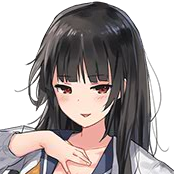 Isokaze, stern protector: A mature voice belying her young appearance, Isokaze makes for a viable alternative to Nachi in that her personality seems similarly disciplined and focused on the action at hand. She shares a voice actress with Saber from the Fate franchise, with a noticeable similarity in her tone and speech patterns. Recommended for: Destroyers and Cruisers. Haruna, the maiden: The epitome of purity, Haruna is a soft-spoken personality with a big heart, so humble that she speaks of herself in third person. Her very being seems consumed with an intense need to care for her friends and comrades, all too easily at the expense of her own safety or comfort. Recommended for: Cruisers and Battleships. Zuikaku, the tsundere: A talented if hotheaded individual, Zuikaku intends to dominate the skies and show everyone how it's done. She takes great pride in her skill and, although not actively fostering an air of arrogance, can very quickly get very upset if her abilities are called into question. As quick to forgive as she is to take offense, her spirit and dedication still make her a good friend to have around .. if one can handle her occasional outbursts. Recommended for: Carriers. Musashi, the blood knight: Boastful and battle-hungry, Musashi lives for the fight and enjoys being in the thick of it. Don't let her tendency to play down injuries in the heat of battle fool you, lest you are doomed to see history repeat itself. Recommended for: Superdreadnoughts, duh. 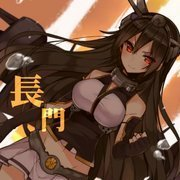 These voicepacks have been created from scratch using files from the browser game and include a few manually cropped or merged voicelines to suit various events and triggers in WOWS as best as possible. Due to the absence of carrier-related voicelines in the original, a number of pilots from the Yokosuka Girls Maritime High School have volunteered as air crew (meaning: fighter/bomber/spotter voices use HSF Harekaze's files), allowing this mod to support carrier gameplay as well. 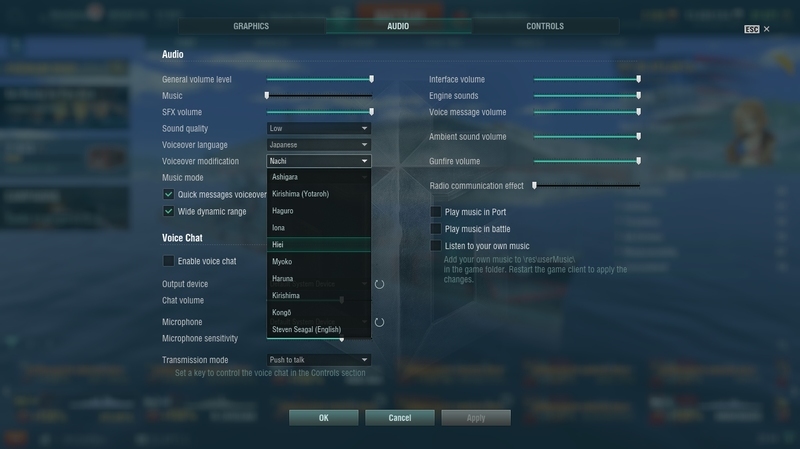 Notably, Harekaze's voicelines are also used in quick commands from other players, so that users of these mods will always hear the chosen captain for their own commands, whereas other ships will be represented with different voices, adding to the immersion of a diverse fleet. After successful placement, new options (KC Nachi, KC Nagato, KC Sendai) should be available in the battle voiceover dropdown of the game's settings -> audio menu. The mods should hopefully remain compatible with the game for some versions to come; just remember to move the mod's folder from the 0.6.13.1/banks/Mods/ directory into the same folder of the game's current version number. If you cannot see the new options in the audio menu, please check if your game has a duplicate "banks" folder in the normal "res" directory and rename or move it elsewhere (safer than deletion), as it may override any and all voice mods you have installed. I hope you will enjoy these new voices. See you on the high seas! Oh, nice, I wanted something like that since a while ago. And I actually feels like the ARP voice lack a bit of something, dunno what exactly, apart maybe from Nachi. I find myself liking more voices like Kancolle Yamato, Kiso or Isokaze. "So be it... Isokaze shall be your opponent. I won't show mercy even if the commander should stand before me." EDIT : Except that it actually doesn't work... I think the last mess of things they did with the audio folders is to blame. Any idea how to fix it ? I did not originally plan to consider requests, but since you're the first person commenting, and as I find myself agreeing that Isokaze would make a fine addition, I'll add it to my to-do list! Though, it may take a little while as I usually only work on stuff like this on the weekends. I don't think it will be too hard to collect suitable samples for her, though. From what I can see, there is a lot I can use. Did you try the troubleshooting step outlined above? Do the new voice options not show up at all, or can you select them, but they do not play? And they still don't show up anywhere ingame. Your dropdown menu does not even list "Standard" as an option, which should be on the top. This does not mean that you will never be able to return to the game's default voices, but rather that the list of voices is too long to fit into the menu! Try to first open the menu like you did on the screenshot, then move the mouse cursor inside, and use your mouse-wheel to scroll the list up/down. This should enable you to browse through other voice packs, provided the game has managed to locate them. I assume that the KC mods would be located somewhere above Ashigara. Nah, I already scrolled to makes sure I didn't miss anything when I took that screenshot. So "Standard" shows up, but not the mods? Hmm. Have you removed only the files in the redundant res/banks folder, or the banks directory itself? I think the folder itself would have to be removed, so that the game may not recognize it as a source at all, regardless of whether it is empty or not. I also notice your game directory is called "World_of_Warships2" -- does that mean there is another game folder? I had a duplicate of the game folders at some point of time, but not anymore. Hence the "2". And yeah, I completely removed the folders. I really don't understand what is the problem there. This is tricky; I'm not sure what else it could be. I assume other players' voice mods would not work for you as well, then? Guess I'll wait till next update, and only install your mod first, to see if another mod is conflicting or something. If I can think of any other possible solution I'll shoot you a PM. Maybe other players can pitch in with additional advice either in this thread or one of the others! Edit: Just now I see that the devs have, just a few days ago, added API support for permanent mod recognition by the game client. I'll have to read up on the specifics, but I will try to convert the mod to this new method in an effort to save users the need to move folders after every patch. If I get this working, maybe it'll solve your issue, too! Whew, thanks for getting back to me! I was kind of wracking my head over where the issue could be. Glad it's now solved, and I hope you like the mod! I had put Isokaze on the backburner as the only person asking for her could not get the current mod working, but I guess she's back on the list now. Yeah it's really great. Currently using Nachi. The immersion is better than with the ARP voices. - First, but I don't know if you can correct this : I believe the volume is quite low. I have to set the engine and gun sounds lower and then raise the volume of my speakers to achieve something balanced. - Second, you shouldn't use any file for the "an enemy was spotted" alert. WG actually doesn't use any in all their official voice, because it plays EACH TIME an enemy is spotted, even if he's only blinking. I had Nachi freaking out earlier while playing Kii because I had two Tirpitz and a Montana blinking at 15km. This is valuable feedback. Thank you! You're the second person mentioning the volume, though it seems perfectly fine on my end. I wonder if it might have something to do with audio codecs or drivers? Or it could just be my own ears somehow picking up things differently. I'll have to consider carefully what to do here -- more feedback from other users would be greatly appreciated. Ultimately, I'd like to tweak it in the way that suits most people. As for the alert, should it not play just once per enemy ship, i.e. that no single ship gets the audio alert twice? This is still a lot of alerts, but I had opted for this approach as I would like to keep a certain level of "voice saturation" over the course of a match, and the spotter alert seemed like a good option for the early phase of the game when there is not much else going on. The big problem with how this game handles sounds is that even the same sound file can overlap with itself. It would be so much easier if the voices had a "cooldown", or if a modder could define delays between them. Decided to give Nagato's voice a try, since I'm currently grinding her, and what can I say? Followed the instructions in the first post and it worked like a charm from the very beginning. I had a feeling the voice's volume was relatively low, as it already has been said before, but that was obviously just a problem during the very first battle. The volume got better in the next battles, despite me not changing anything concerning the game's sound settings. So, overall, a nice addition for someone who has come all the way here from KanColle. It makes the grind with Nagato a bit more bearable. 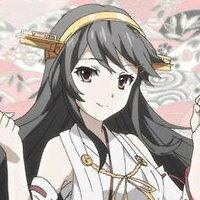 With that said, I was wondering, if you could do a voicepack for Haruna, please? After all, the non-ARP Kongou-class battleship is what I like to lead into battles the most. I had a feeling the voice's volume was relatively low, as it already has been said before, but that was obviously just a problem during the very first battle. The volume got better in the next battles, despite me not changing anything concerning the game's sound settings. Pretty weird! It could be a hint as to why some players experience the volume differently, but I'm glad to hear it's working for you now. 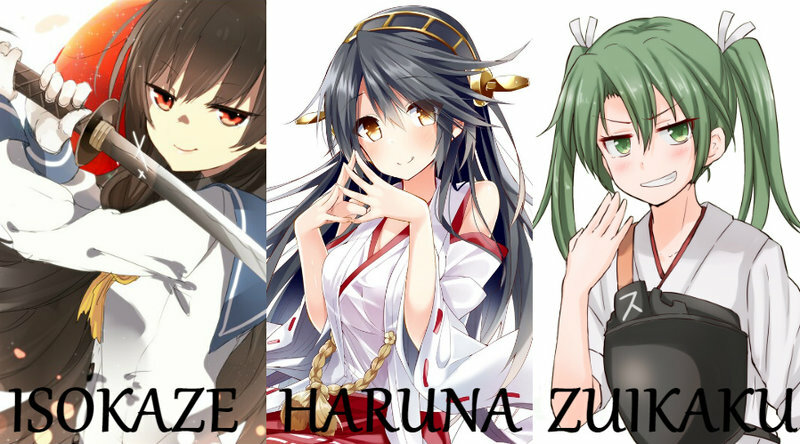 I've also finally gotten around to sit down once more and churn out three new voice packs, including the two requested in this thread, Isokaze and Haruna. Sorry for the late reply! I've not been very active lately. The first method should work, with the complete folder just like in the screenshot. Make sure you are placing the folders into the most current game version's directory under res_mods, though; you have to move the folder manually every time the game updates and the client version number changes. Right now, the folder structure would be, for example, "World_of_Warships/res_mods/0.7.3.0/banks/Mods/KC Sendai". Also note that you will have to activate the mod manually in the game's audio settings; the mod should create a new option in the "voiceover modifications" tab. Does it not show up for you there at all? Since the game comes with a few modifications by default, you may have to scroll up or down using the middle mousewheel (the tab only has room for 10 options before you'd have to scroll, and it does not show a scrollbar so it may at times be easy to miss if there are more than 10). I am really interested in your mod, especially in the Nagato one. My problem is, that there is no "banks" folder in the "res_mods" folder anymore. Sadly, i couldn't make it work, bc dragging the "KC Nagato" folder into the "res_mods" folder isn't enough, like in the case of more recent mods. I look forward to any helpful reply. p.s. : No other mod is causing the trouble. Edit: I solved the issue with the help of other voice mods. I kust simply had to cut out the files from the "Voice" folder and the "HSF" folder and put them beside the "mod.xml" file. i want to make a sound mod with some old french comic movies, does someone know where i can find a tuto plz ?? After a long break, I've now felt the urge to pick up the game again. In doing so, I've noticed a mistake with the voice line associated with torpedo hits, which I believe wasn't active in the client versions the voice mods were initially written for, which is why I did not notice sooner. I had thought the code would refer to the player's ship being hit, when actually the line is supposed to refer to your torpedoes hitting someone else. Accordingly, I have now updated the above mods, and the kanmusu voice actors will correctly celebrate upon scoring a torpedo hit, rather than screaming in shock and/or pain. Speaking of celebrations -- to accompany my return to the game, I have assembled a new voice mod to add to the collection, featuring another "latecomer". Naturally, as detailed in the initial instructions at the top of this thread, the file should be extracted into the current game version's res_mods folder. For example, at the time of writing, the correct file path would be: "/res_mods/0.7.12.0/banks/Mods/KC Musashi". Glad you got it to work! The mod should have worked with the file structure as-is (you can check the directory references in the mod.xml itself), so I'm a little confused, but I'm happy to hear you got it to work. I'm not sure if this is still relevant given how much time has passed, but just in case, I found this tutorial highly helpful. It's what I used to build all of this. The most difficult part is file conversion, due to the unusual tools you need because of Wargaming's choice of format, and that guide explains it step by step.